TAMPA, Fla. (Aug. 18, 2004) – Children and adolescents diagnosed with cancer oftentimes put their hopes and dreams on hold. Fighting this disease depletes families of resources that could be used for future endeavors, and diminishes hope that their children will one day attend college. But for four Florida teens, the dream of college is now a reality thanks to the American Cancer Society and a south Florida family that is honoring their father, Nicholas R. Chiera, who died from cancer. Using the proceeds of their annual Nicholas R. Chiera Golf and Tennis Classic, the Chiera family earmarked a portion of the tournament proceeds to fund four college scholarships offered through the American Cancer Society R.O.C.K. College Scholarship Program. The R.O.C.K. 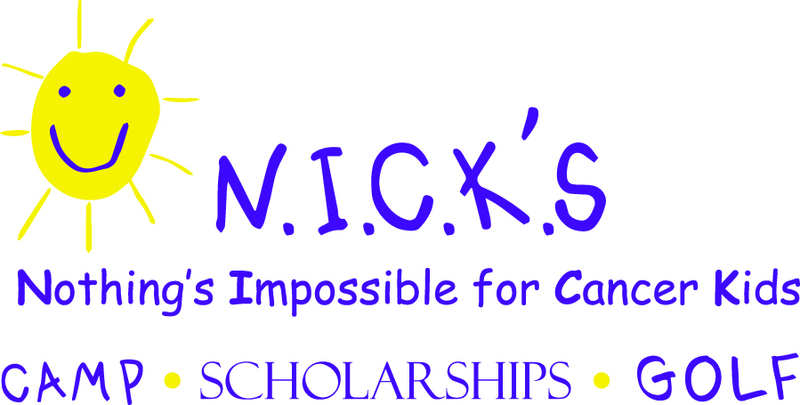 College Scholarship Program is one of three American Cancer Society, Florida Division R.O.C.K. (Reaching Out to Cancer Kids) programs designed to enhance the quality of life for all Florida children who are fighting and surviving cancer. The other programs, R.O.C.K. Camp and Families R.O.C.K. Weekend, are funded by the remainder of the Nicholas R. Chiera Tournament proceeds. The Chieras have long been supporters of the American Cancer Society’s R.O.C.K. Camp. In eleven years, the Nicholas R. Chiera Golf and Tennis Classic has raised more than $1.3 million dollars to enable children with cancer to attend this weeklong camp experience. Recently they expanded their support to include the American Cancer Society’s Families R.O.C.K. Weekend and R.O.C.K. College Scholarship Program. The four recipients of the American Cancer Society/Nicholas R. Chiera College Scholarship are Ryan Moyer of Coral Springs; Marc Thomas O’Keefe of Boca Raton, both of whom received the scholarship last year; Heather Quinn of Boca Raton; and Ella Leung of Wellington, both new recipients who will be freshmen this fall. “These college scholarships represent a vote of confidence in these four young cancer survivors, from both the American Cancer Society and the Chiera family,” said Evelyn Foster, chair of the R.O.C.K. College Scholarship Committee for the American Cancer Society, Florida Division. Moyer, an acute lymphoblastic leukemia survivor, is beginning his second year at Florida Atlantic University in Boca Raton, majoring in mechanical engineering. He was diagnosed with acute lymphoblastic leukemia in October of 1991. After undergoing two and a half years of extensive chemotherapy, the disease went into remission. At the age of 16, the cancer came back. Because he was unable to attend a regular high school, Moyer enrolled in the hospital homebound program and graduated as class valedictorian with a 4.0 grade point average. O’Keefe, a mucoepidermoid carcinoma survivor, is beginning his second year at Florida International University in Miami, majoring in music. O’Keefe has persevered through two major surgeries as well as 33 radiation treatments. He was a member of the Olympic Heights High School jazz and marching bands, and successfully competed in a variety of state music competitions. Heather Quinn survived a medulloblastoma tumor of the brain, diagnosed when she was 16 years old. Prior to having cancer, Quinn was an accomplished athlete who regularly played softball, soccer and volleyball. Although she cannot play sports any longer, she stays in touch with her friends by keeping score at softball games. Quinn is enrolled in Palm Beach Community College’s physical therapy assistant program. Ella Leung, a lymphoma survivor, was accepted into the University of Miami’s prestigious six-year honors medical program, starting this fall. Since she has excelled academically, graduating near the top of her high school class, her dream of becoming an oncologist may very become a reality.